Terry Wayne Stogner, the son and only child of Wallace and Juanema Eileen Stogner, was born on July 13, 1958, in Lamesa, Texas. Terry spent his youthful days growing up in Lamesa, Texas, where he attended schools in the Lamesa Independent School District. He graduated from Lamesa High School in 1977. Even before graduating from high school, Terry began furthering his education, taking Real Estate courses at Midland College in Midland, Texas. Terry married the love of his life, Jackie Nell Cave, on July 24, 1979. Jackie graduated from Flower Grove High School and continued her education at Howard Payne University, where she graduated with a BME Degree in music. After graduation she taught music in Ozona and Lamesa Elementary Schools. She continued to further her education at West Texas State University and taught school for 8 years until she retired and became secretary of the several Stogner businesses. Jackie is very active the Order of Eastern Star, being a member since 1990. She served as Worthy Matron of her Chapter in 1994 and has served as organist of her Chapter and the Grand Chapter of Texas on several occasions. Jackie enjoys several hobbies other than playing the piano including ham radio, flying Terry’s airplane, hunting, fishing and traveling. Terry and Jackie have been active members in the Second Baptist Church in Lamesa since 1989. Terry and Jackie are the proud parents of a son, Charles Walter Stogner, and a daughter, Lisa Janell Stogner Collins. They are blessed with four grandchildren; Emerie Raelynn Stogner, Kaesan Brice Stogner, Ellie Grace Stogner, and Gunner Hugh Collins. Charles resides in Graham, Texas with his wife Rachael, and the three Stogner grandchildren. Charlie holds an Associate of Arts Degree from Texas State Technical College and is currently pursuing a bachelor’s degree in Business Administration. Additionally, he is currently employed as Operations Manager at Ibederola Renewables, a wind energy generation facility. Charlie is a member of Breckenridge Lodge No. 492 and is also a plural member of Milam Lodge No. 11. Lisa and her husband Chuck reside on a ranch near Brownwood, Texas where Chuck is in the ranching business. Lisa holds a bachelor’s degree in Business Administration and a minor in Bible. She received her master’s degree in Business in 2014 and is currently employed as an Administration Assistant in Development Services for the city of Brownwood, Texas. Shortly after graduation from high school, Terry started his first business. In 1978, he established Stogner Pumping Service, Inc., an oil and gas well pumping service and consulting firm and serves as President. Not being satisfied with just one business, he acquired the Lamesa Radio Paging Service, an RCC Radio Common Carrier Tower and Repeater Leasing service in 1981, and he established Mr. T’s Rental Storage in 1990. Terry is also President/CEO of Associate Water Systems, LLC, which he established in 1991, and he is CEO of Sandy Creek Operations, Inc., an independent oil and gas operation, which he launched in 2003. He is also President/CEO of Rengots, Inc., a successful real estate holding sales and leasing company, which he formed in 2003. Terry has not only used his mechanical and technical skills to establish and grow his various enterprises, he has developed into a very successful manager and businessman. Since their marriage in 1979, Jackie has been an integral part of the businesses; serving as bookkeeper and confidant. Terry’s several companies’ employees two field workers and a staff member (his wife, Jackie). Terry’s hobbies include fishing, hunting, gun collecting, rebuilding boats, outboard motors and recreational vehicles. Terry is also a private pilot and holds membership in the Aircraft Owners and Pilots Association and holds an FAA Rating as Private Pilot, Single Engine, Land endorsement. Terry is also an amateur radio operator and is a member of the Amateur Relay Radio League and has a General Class Federal Communications Commission rating. He served as the net manager for the Northwest Texas Emergency Network for 3 years. He also enjoys riding a motorcycle on occasion. Terry Wayne Stogner began his Masonic career in Lamesa Lodge No. 909, with the submission of his petition in 1989. He was initiated an Entered Apprentice Mason on September 9, 1989, passed to the Degree of Fellowcraft on January 23, 1990, and raised to the Sublime Degree of Master Mason on February 27, 1990. Terry served Lamesa Lodge in several appointive and elective offices and was elected and served as its Worshipful Master in 1995-96. Lamesa Lodge presented him with the Golden Trowel Award in 1992. Terry currently holds membership in fourteen Texas Masonic Lodges including Tranquility Lodge No. 2000, a special humanitarian Lodge, and is an Endowed Member in all of them. He has also served as Worshipful Master in the following Lodges: Staked Plains Lodge No. 598 in 2001-02, Coahoma Lodge No. 992 in 2002-03, and Milam Lodge No. 11 in 2003-04. He also served as Treasurer of Milam Lodge No. 11 for 3 years. He received his 25-Year Service award from Tabernacle Lodge No. 1195. Terry has held a Class A Certificate in the Masonic esoteric work of Texas since 1993 and received a Life Esoteric Certificate in 2009. Terry served as District Deputy Grand Master of Masonic District No. 80 in 1997, under Grand Master Joe Regian, and served as District Deputy Grand Master At-Large in 2013. He was a District Masonic Relations Officer for District No. 80 in 1997-1998, under Grand Master Harry G. Cunningham. 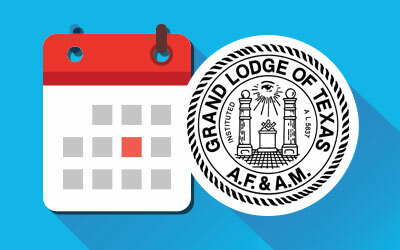 He has served the Grand Lodge of Texas as a District Instructor since his appointment in 2002, a position he currently holds. He is also an active member of the Masters, Wardens, and Secretaries Association of the 80th Masonic District. His service to The Grand Lodge of Texas has also included the Committee on Petitions and Returns of Lodges UD from 2003 through 2005, and the Committee on Special Assignments in 2011-2012. Terry was elected to the Grand Lodge Committee on Work in 2005, and he worked diligently on that Committee, serving twice as Chairman. He continued his service on that committee until elected Grand Junior Warden in 2015. Brother Stogner has served on Planning Teams for Grand Masters T. E. “Gene” Carnes in 2011 and Walter W. Rogers in 2013. He is also a member of the Sam Houston Hall of Fame, which benefits the Grand Lodge Library and Museum. Terry received his York Rite Degrees in Lamesa Chapter No. 463, in 1990, and presided as Most Excellent High Priest in Big Spring Chapter No. 178 in 1999, where he is also an Endowed Member. He served as District Deputy Grand High Priest of the 33rd Capitular District in 2011. His current membership is in Keystone Chapter No. 174 in Midland. He was greeted a Royal and Select Master in Lamesa Council No. 378 in 1990, and is currently affiliated with Big Spring Council No. 117, where he is an Endowed Member. He also served as Thrice Illustrious Master of Big Spring Council in 1999 and received the Order of the Silver Trowel in 2005. Terry served as District Deputy Grand Master in the 33rd Cryptic District in 2010 and holds current membership in Keystone Council No. 112. Terry was created a Sir Knight in Big Spring Commandery No. 31, in 1991, and presently holds membership in Midland Commandery No. 84, Knights Templar, where he is an endowed member. He also holds membership in the York Rite Sovereign College of North America, Southeast Texas College No. 90 in Port Arthur. He received The Red Cross of Constantine in Crusader Conclave in 2018. Terry is a 32° Degree Scottish Rite Mason, in the Valley of Lubbock, where he recieved his degrees in 1990. He was elected and received the investiture of the Rank and Decoration of Knight Commander of the Court of Honor in 2017. He is an Endowed Member in the Lubbock Valley and a plural member of the Fort Worth Scottish Rite Valley. His membership in the Ancient Arabic Order Nobles of the Mystic Shrine is in Suez Temple, in San Angelo. Terry was inducted into the Texas College of Societas Rosicruciana Civitatibus Foederatis (S.R.I.C.F.) No. 138 in March 2012. He is an Endowed Member and Past Worthy Patron in Big Spring Chapter No. 67, Order of the Eastern Star. 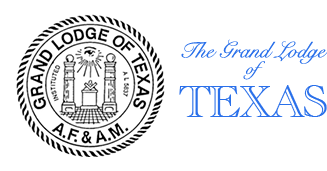 Terry was elected to the office of Grand Junior Warden on December 5, 2015; Grand Senior Warden on January 21, 2017; Deputy Grand Master on January 20, 2019; and the Masons of Texas elevated him to the highest office within their power on January 19, 2020. 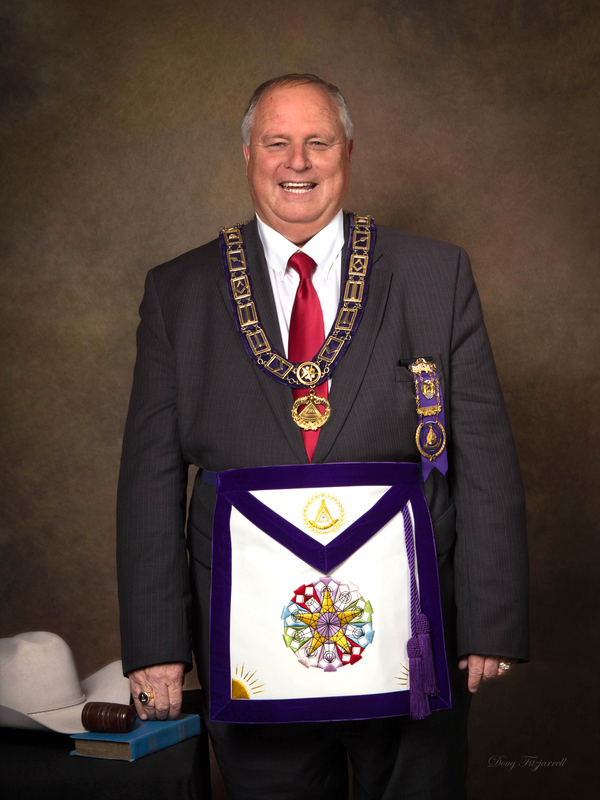 Grand Master Terry Wayne Stogner is experienced in both business and Masonic leadership, and works with driving determination, integrity, and steadfast dedication to both. 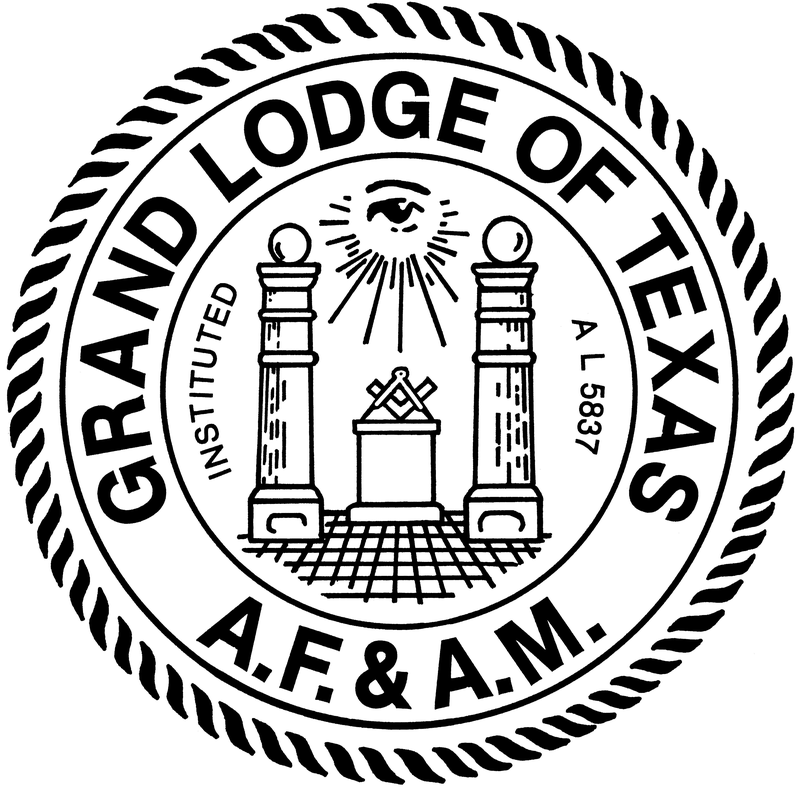 He is a committed and dedicated Mason—with a sincere desire to serve the Masons of Texas and The Most Worshipful Grand Lodge of Texas. His enthusiastic, dedication, study, practice, and love of the Fraternity of Freemasonry is one of a true Mason—from the heart.